All steel high quality reproduction. 6 row 29 hole heat shield riveted to the attachment with 6 steel rivets like the original. 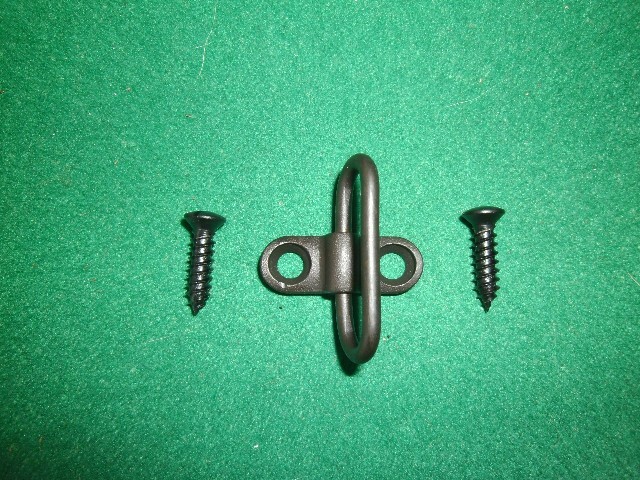 Comes complete with octagonal base brass bead sight, sling swivel and 3 attachment screws. This attachment will fit the Ithaca Model 37 12 gauge featherlite barrel when the barrel is cut to 20 inches (3 shallow grooves will have to be filled in the underside of the barrel to accept the attachment screws). The proper positioning of the attachment on the barrel is to have the front of the round bayonet lug even with the muzzle for filing the grooves. Shipped in the white (you must color to match your gun). Due to a heavy backlog will ship within 5 to 6 weeks of receipt of payment.